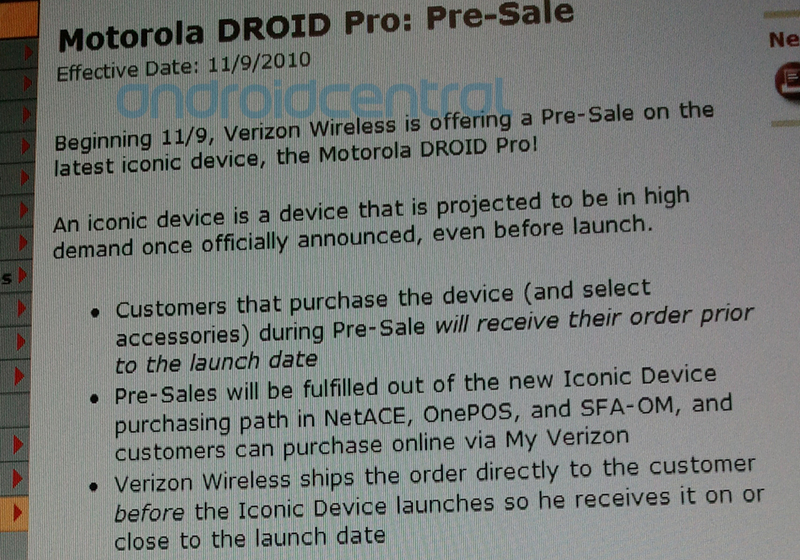 From a new Verizon internal document, it looks as if the Droid Pro launch date has been pushed back a week to November 18th. Well, in stores anyway. You can actually pre-order the DP starting 11/9 (next Tuesday) and receive your order well before the 18th, likely around the 10th or 11th. 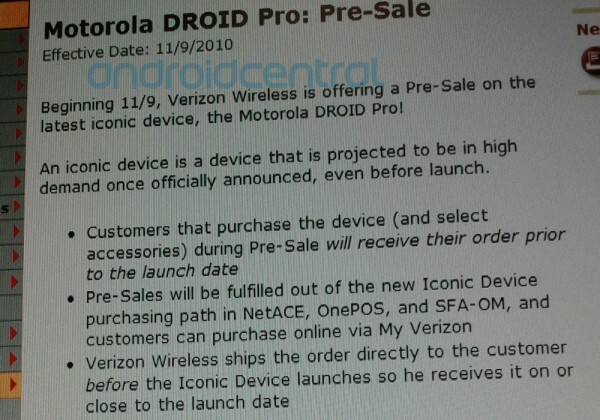 An early date from Verizon had been set as the 11th, but in this business, release dates can change within minutes so we shouldn’t be surprised. The sad news is that it lessons the awesomeness that would have been next Thursday. Let’s just hope nothing else gets moved around. We were really looking forward to seeing 8 new Android devices landing on the same day with one carrier.